Buy designer Palazzo suits online at Kalkifashion.com. 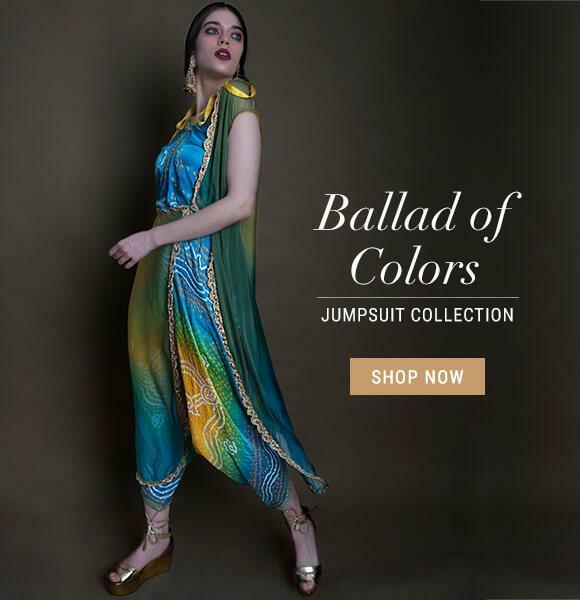 We offer long, Straight cut and party wear salwar suits with Palazzo pants in the latest style.Take a look at our designer Palazzo suit collection as we offer you just the variety, which will make you look attractive. We have lined up for you exclusively the funky style palazzo suits as these are just the dresses, which are in demand these days. The dresses add significantly to your glamour and you portray style, elegance, beauty. Gone are those days when kurtas or suits were paired with churidarsas known as leggings , and certainly for better. Palazzo dresses are chic and undeniably comfortable as compared to the former. For women who have just made an entry to the world of vogue, straight cut Indian palazzo suits will be a safe bet. Straight cut palazzos are mostly preferred in neutral colors as an accompaniment for tops as well as kameez and in cotton or linen material. They are ideal for all body types but are well-suited on women with a pear shaped body. Flared palazzo is a versatile bottom wear. Be it a laid back Sunday look, the one on the beach or the most happening wedding in town, flared palazzos will never disappoint you. Casual or ethnic, irrespective of your purpose, Indian suits with palazzo pants can be your go-to attire. You can experiment with various prints, textures and materials (cotton, rayon, silk or polyester) because flared palazzos are nothing but a synonym for effortless style statement. Again, this ensemble can be carried by anyone but women with an apple shaped body should opt for these to give themselves a more proportionate look. The newest edition of the passé palazzos is the self-explanatory pleated and layered version. If uptown and snappy defines you, this category of palazzo will be your wardrobe staple. Pleated and layered palazzos have been storming the fashion world; right from yoga classes to giving bridesmaid goals on social media platforms. 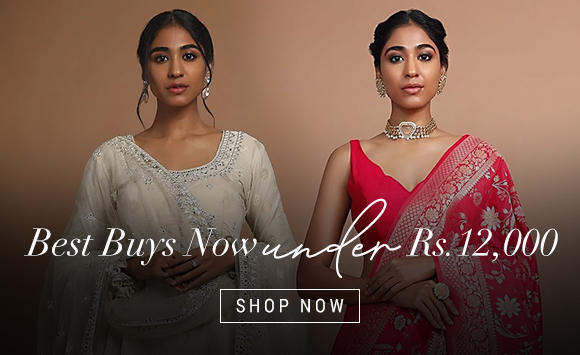 If you are tired of your regular lehenga looks, try buying a pleated or layered palazzo suit online. As you can view the get-up on a model, picturing yourself in a novel outfit will be much easier. Latch on crepe or polyester pleated palazzo for formal/casual events and silk or georgette layered palazzo for grand Indian merriments. Pleated and layered palazzo suits are bound to make women look taller thanks to their silhouette and be carried by all body types and heights. Once you start exploring your dressing with palazzo suits; with the snug it brings, going back to denims will merely be impossible. Play around with fabric and flare to see what fits your body the best. Options are endless, find the right one for yourself today!